29. Pierre, V.; Drouet, M.T. ; Deubel, V. Identification of mosquito-borne flavivirus sequences using universal primers and reverse transcription/polymerase chain reaction. Res. Virol. 1994, 145, 93-104. 30. Chang, G.J. ; Trent, D.W.; Vorndam, A.V. ; Vergne, E.; Kinney, R.M. ; Mitchell, C.J. An integrated target sequence and signal amplification assay, reverse transcriptase-PCR-enzyme-linked immunosorbent assay, to detect and characterize flaviviruses. J. Clin. Microbiol. 1994,32,477-483. 31. Meiyu, F.; Huosheng, C.; Cuihua, C.; Xiaodong, T.; Lianhua, J.; Yifei, P.; Weijun, C.; Huiyu, G. Detection of flaviviruses by reverse transcriptase-polymerase chain reaction with the universal primer set. Microbiol. Immunol. 1997, 41, 209-213. 32. Kuno, G. Universal diagnostic RT-PCR protocol for arboviruses. J. Virol. Methods 1998, 72, 27-41. 33. Scaramozzino, N.; Crance, J.M. ; Jouan, A.; DeBriel, D.A. ; Stoll, F.; Garin, D. Comparison of flavivirus universal primer pairs and development of a rapid, highly sensitive heminested reverse transcription-PCR assay for detection of flaviviruses targeted to a conserved region of the NS5 gene sequences. J. Clin. Microbiol. 2001, 39, 1922-1927. 34. Deubel, V.; Huerre, M.; Cathomas, G.; Drouet, M.T. ; Wuscher, N.; Le Guenno, B.; Widmer, A.F. 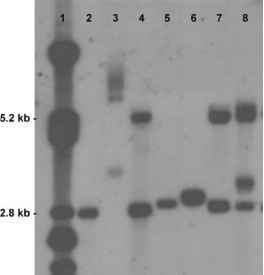 Molecular detection and characterization of yellow fever virus in blood and liver specimens of a non-vaccinated fatal human case. J. Med. Virol. 1997, 53, 212-217. 35. Drosten, C.; Panning, M.; Giinther, S.; Schmitz, H. False-negative results of PCR with plasma of patients with severe viral hemorrhagic fever. J. Clin. Microbiol. 2002, 40, 4394-4395. 36. Gubler, D.J. Dengue and dengue hemorrhagic fever. Clin. Microbiol. Rev. 1998, 11, 480-496. 37. Guzman, M.G. ; Kouri, G. Advances in dengue diagnosis. Clin. Diagn. Lab. Immunol. 1996, 3, 621-627. 38. Callahan, J.D. ; Wu, S.J. ; Dion-Schultz, A.; Mangold, B.E. ; Peruski, L.F.; Watts, D.M. ; Porter, K.R. ; Murphy, G.R. ; Suharyono, W.; King, C.C. ; Hayes, C.G. ; Temenak, J.J. Development and evaluation of serotype- and group-specific fluorogenic reverse transcriptase PCR (TaqMan) assays for dengue virus. J. Clin. Microbiol. 2001, 39, 4119-4124. 39. Houng, H.S. ; Chung-Ming Chen, R.; Vaughn, D.W.; Kanesa-thasan, N. Development of a fluorogenic RT-PCR system for quantitative identification of dengue virus serotypes 1-4 using conserved and serotype-specific 3' noncoding sequences. J. Virol. Methods 2001, 95, 19-32. 40. Laue, T.; Emmerich, P.; Schmitz, H. Detection of dengue virus RNA in patients after primary or secondary dengue infection by using the TaqMan automated amplification system. J. Clin. Microbiol. 1999, 37, 2543-2547. 41. Charrel, R.N. ; Zaki, A.M.; Attoui, H.; Fakeeh, M.; Billoir, F.; Yousef, A.I. ; de Chesse, R.; De Micco, P.; Gould, E.A. ; de Lamballerie, X. Complete coding sequence of the Alkhurma virus, a tick-borne flavivirus causing severe hemorrhagic fever in humans in Saudi Arabia. Biochem. Biophys. Res. Commun. 2001, 287, 455-461. 42. Pavri, K. Clinical, clinicopathologic, and hematologic features of Kyasanur Forest disease. Rev. Infect. Dis. 1989, 11 (Suppl 4), S854-859. 43. Preiser, W.; Stürmer, M.; Fleckenstein, C.; Berger, A.; Sakho, L.; Koivogui, L.; ter Meulen, J. A real-time ''TaqMan'' PCR assay for the detection of different yellow fever virus strains in clinical samples. Infection 2002, 30, 17.